Antonio Cromartie (born April 15, 1984) is a former American football cornerback. He played college football at Florida State and was drafted in the first round (19th overall) by the San Diego Chargers in the 2006 NFL Draft. 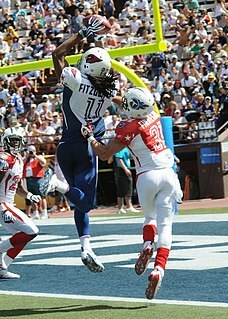 He was selected to four Pro Bowls and was a first-team All-Pro in 2007 after leading the league in interceptions. Cromartie is credited with the longest play in NFL history, returning a missed field goal 109 yards for a touchdown in 2007. He also played for the Arizona Cardinals, New York Jets and Indianapolis Colts. A cornerback (CB), also referred to as a corner or defensive halfback in older parlance, is a member of the defensive backfield or secondary in American and Canadian football. Cornerbacks cover receivers most of the time, to defend against offensive plays, i.e create turnovers in best case or deflect a forward pass or rather make a tackle. Other members of the defensive backfield include the safeties and occasionally linebackers. The cornerback position requires speed, agility, and strength. A cornerback's skillset typically requires proficiency in anticipating the quarterback, backpedaling, executing single and zone coverage, disrupting pass routes, block shedding, and tackling. Cornerbacks are among the fastest players on the field. 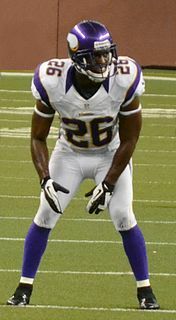 Cromartie was born in Tallahassee, Florida, to Haitian American parents. He was a versatile player at Tallahassee's Lincoln High School. Throughout his senior season, Cromartie recorded 12 tackles and 2 interceptions, returned 3 punts and 2 kicks for TDs, had 450 yards and 1 touchdown on 30 catches and ran the ball 13 times for 242 yards and 3 touchdowns. This was enough to earn Cromartie 2002 USA Today defensive player of the year. Considered a four-star recruit by Rivals.com , Cromartie ranked sixth among cornerback prospects in the nation. Cromartie also participated in the 2003 U.S. Army All-American Bowl. Haitian Americans are Americans of Haitian descent. The largest proportion of Haitians in the United States live in the South Florida area and especially the cities of Tampa and Orlando. In addition, they have settled in major East Coast cities such as New York City, Boston, Philadelphia, and Washington, D.C., and in Chicago in the Midwestern United States. Most are immigrants or their descendants from late 20th-century migrations to the United States. Haitian Americans represent the largest group within the Haitian diaspora. Lincoln High School is a public high school located in Leon County, Tallahassee, Florida. It offers an accelerated Advanced Placement (AP) program. In 2010, Newsweek ranked Lincoln High School as one of the top 100 high schools in the United States. Track and field is an exercise which includes athletic contests established on the skills of running, jumping, and throwing. The name is derived from the sport's typical venue: a stadium with an oval running track enclosing a grass field where the throwing and some of the jumping events take place. Track and field is categorized under the umbrella sport of athletics, which also includes road running, cross country running, and race walking. Robert Cleckler Bowden is a retired American football coach. Bowden is best known for coaching the Florida State Seminoles football team from the 1976 to 2009 seasons. The Florida State Seminoles football team represents Florida State University in the sport of American football. The Seminoles compete in the NCAA Division I Football Bowl Subdivision (FBS) of the National Collegiate Athletic Association (NCAA) and the Atlantic Division of the Atlantic Coast Conference (ACC). The team is known for its storied history, distinctive helmet, fight song and colors as well as the many traditions associated with the school. In addition to football, Cromartie also joined the Florida State Seminoles track team in 2004. He was a member of the FSU track team that won the ACC Championship in 2004, where he placed 10th in the 200 meters with a time of 21.35 seconds. He ran a career-best time of 46.39 seconds in the 400 meters at the NCAA Division I Championships, placing 6th in the prelims. He was timed at 21.27 seconds in the 200 meters. Tajuan E. "Ty" Law is a former American football cornerback who played fifteen seasons in the National Football League (NFL). He played college football at the University of Michigan. He was drafted by the New England Patriots 23rd overall in the 1995 NFL Draft. Law is a two-time All-Pro, a five-time Pro Bowl selection, a Pro Bowl MVP, and has won three Super Bowls with the Patriots. His 53 career interceptions rank 24th all-time in NFL history; he is widely regarded as one of the best defensive backs of all time. Law was added to the New England Patriots Hall of Fame as its 20th member and was inducted into the Pro Football Hall of Fame as a member of the Class of 2019. Quentin Tremaine Jammer is a former American football cornerback who played in the National Football League (NFL). He played college football for the University of Texas, and earned All-American honors. He was drafted by the San Diego Chargers in the first round of the 2002 NFL Draft and he played for them for eleven seasons. Antoine Duane Winfield is a former American football cornerback who played 14 years in the National Football League (NFL). He played college football for Ohio State University, earning consensus All-American honors and winning the Jim Thorpe Award. He was drafted by the Buffalo Bills in the first round of the 1999 NFL Draft. He played five seasons for the Bills and nine seasons for the Minnesota Vikings. He was a three-time Pro Bowl selection as a member of the Vikings. Nathaniel DeWayne Vasher is a former American football cornerback who played seven seasons in the National Football League. He played college football at Texas and was drafted by the Chicago Bears in the fourth round of the 2004 NFL Draft. Donald Darell Strickland is a former American football cornerback. He was drafted by the Indianapolis Colts in the third round of the 2003 NFL Draft. He played college football at the University of Colorado Boulder. 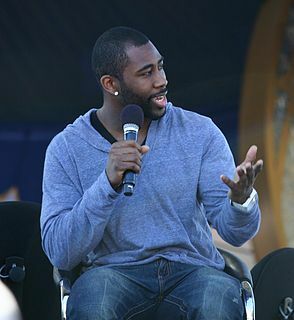 Darrelle Shavar Revis is a former American football cornerback. He played college football for the University of Pittsburgh and was drafted in the first round by the New York Jets in the 2007 NFL Draft. He also played for the Tampa Bay Buccaneers, Kansas City Chiefs and New England Patriots. With the Patriots, he won Super Bowl XLIX over the Seattle Seahawks. Antoine Brandon Cason is a former American football cornerback. He played college football at Arizona where he was recognized as a consensus All-American and won the Jim Thorpe Award. He was drafted by the San Diego Chargers in the first round of the 2008 NFL Draft. Cason also played for Arizona Cardinals, Carolina Panthers, and Baltimore Ravens. Dwight Larte Lowery is an American football safety who is currently a free agent. He was drafted by the New York Jets in the fourth round of the 2008 NFL Draft. He played college football at San Jose State. Eric Steven Weddle is an American football free safety for the Los Angeles Rams of the National Football League (NFL). He played college football at Utah, where he was a consensus All-American. He was drafted by the San Diego Chargers in the second round of the 2007 NFL Draft. Weddle also played for the Baltimore Ravens from 2016 to 2018. He has been named to the Pro Bowl six times, and has been honored as an All-Pro five times. 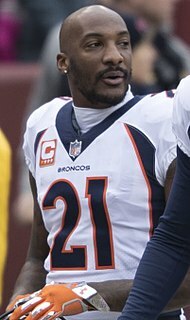 Aqib Talib is an American football cornerback for the Los Angeles Rams of the National Football League (NFL). He played college football at the University of Kansas, where he received unanimous All-American honors. He was drafted by the Tampa Bay Buccaneers in the first round of the 2008 NFL Draft. Talib has also played for the New England Patriots and Denver Broncos, winning Super Bowl 50 with Denver. Brandon Lavar Flowers is a former American football cornerback. He played college football at Virginia Tech, and was drafted by the Kansas City Chiefs in the second round of the 2008 NFL Draft. Dominique Reshard Rodgers-Cromartie, nicknamed "DRC", is an American football cornerback for the Washington Redskins of the National Football League (NFL). He played college football for Tennessee State University, and was drafted by the Arizona Cardinals in the first round of the 2008 NFL Draft. Rodgers-Cromartie has also played for the Philadelphia Eagles, Denver Broncos, New York Giants, and the Oakland Raiders. He has made two appearances in the Pro Bowl in his career. Kyle Wilson is an American football cornerback who is a free agent. He played college football for Boise State. He was drafted by the New York Jets in the first round of the 2010 NFL Draft. Andrew Austen Luck is an American football quarterback for the Indianapolis Colts of the National Football League (NFL). He played college football at Stanford, where he won the Maxwell Award and Walter Camp Award as college football's player of the year and was twice recognized as an All-American. He was the runner-up for the Heisman Trophy in both 2010 and 2011. He was named the Offensive Player of the Year in the Pac-12 Conference in both 2010 and 2011. CBS Sports draft analyst Rob Rang called Luck the best prospect he had ever scouted, while the Kansas City Star put him in line with LeBron James and Bryce Harper as "the most hyped amateurs in recent sports memory." Christopher Harris Jr. is an American football cornerback for the Denver Broncos of the National Football League (NFL). He played college football at Kansas. He was signed by the Broncos as an undrafted free agent on July 27, 2011. Derek Sherrard "D. J." Hayden, Jr. is an American football cornerback for the Jacksonville Jaguars of the National Football League (NFL). He played college football for the University of Houston and was drafted by the Oakland Raiders 12th overall in the 2013 NFL Draft. Hayden has also played for the Detroit Lions. Desmond King II is an American football cornerback for the Los Angeles Chargers of the National Football League (NFL). He earned All-Pro honors in 2018 as both a defensive back and a punt returner. He previously played college football for the Iowa Hawkeyes. ↑ Campbell, Dave (November 4, 2007). "Adrian Peterson leads Vikings past Chargers 35-17 on another record day". Yahoo! Sports. Archived from the original on September 23, 2011. Retrieved November 4, 2007. ↑ "These Days, Everybody's All-American Just May Be a Haitian" . Retrieved March 10, 2014. ↑ "All-USA 2002 high school football team". USATODAY.com. May 20, 2005. Retrieved May 6, 2008. ↑ "Rivals.com Cornerbacks 2003". Rivals.com. February 5, 2003. ↑ "Antonio Cromartie - MockDraftable". www.mockdraftable.com. Retrieved January 11, 2018. ↑ "NFL Draft Scout, Powered by The SportsXchange - *Antonio Cromartie, CB, Florida State - Draft Profile". April 23, 2006. Archived from the original on April 23, 2006. Retrieved January 11, 2018. ↑ "Former All-Pro Cromartie headed to Jets". ESPN. March 4, 2010. Archived from the original on September 23, 2011. Retrieved September 23, 2011. ↑ "Ravens grind out victory over host Jets". ESPN. Associated Press. September 13, 2010. Archived from the original on September 23, 2011. Retrieved September 23, 2011. 1 2 Cimini, Rich (August 1, 2011). "Source: Antonio Cromartie, Jets agree". ESPN. Archived from the original on September 23, 2011. Retrieved September 23, 2011. ↑ McManus, Jane (January 9, 2011). "Cromartie is a hero ... on special teams". ESPN. Archived from the original on September 23, 2011. Retrieved September 23, 2011. ↑ Ackert, Kristie (September 19, 2011). "Antonio Cromartie rebounds from poor performance vs. Cowboys to dominate Jaguars for NY Jets". New York Daily News. Archived from the original on September 23, 2011. Retrieved September 23, 2011. ↑ Armstrong, Kevin (September 21, 2011). "Nick Mangold lobbying to play vs. Raiders, giving Colin Baxter pointers". New York Daily News. Archived from the original on September 23, 2011. Retrieved September 23, 2011. ↑ Begley, Ian; Mike Mazzeo (September 26, 2011). "Antonio Cromartie bruised lung, ribs". ESPN. Archived from the original on September 27, 2011. Retrieved September 26, 2011. ↑ Cimini, Rich (March 9, 2014). "Jets release Antonio Cromartie". ESPN New York. Archived from the original on March 9, 2014. Retrieved March 9, 2014. ↑ Pedulla, Tom. Antonio Cromartie is reunited with Darelle Revis on the Jets Archived April 3, 2015, at the Wayback Machine . The New York Times . March 12, 2015. Retrieved March 14, 2015. ↑ Lange, Randy. "Archived copy". Archived from the original on April 25, 2016. Retrieved February 22, 2016. CS1 maint: Archived copy as title (link). NewYorkJets.com. March 22, 2016. Retrieved March 22, 2016. ↑ Wesseling, Chris (August 22, 2016). "Veteran CB Antonio Cromartie, Colts ink one-year deal". NFL.com. Retrieved August 22, 2016. ↑ "Indianapolis Colts Announce Roster Moves". ↑ Patra, Kevin (March 5, 2018). "Antonio Cromartie announces retirement from football". NFL.com. 1 2 Cimini, Rich (August 3, 2010). "Antonio Cromartie needs a new start". ESPN. Archived from the original on September 23, 2011. Retrieved September 23, 2011. ↑ "Cromartie nixes reality show about kids". Fox Sports. April 15, 2012. Retrieved April 16, 2012. ↑ "Antonio Cromartie welcomes twins - The Boston Globe". bostonglobe.com. Retrieved January 11, 2018. ↑ "Antonio Cromartie's wife says she's pregnant with his 14th child". yahoo.com. Retrieved January 11, 2018. ↑ "Antonio Cromartie has 14th child on the way despite getting a vasectomy years ago". usatoday.com. May 15, 2017. Retrieved January 11, 2018. ↑ "Antonio Cromartie, Wife Terricka Welcome His 14th Child, Announce Reality Show". usmagazine.com. September 7, 2017. Retrieved January 11, 2018. ↑ "Cromartie's wife says Colts cut CB over anthem". espn.com. Retrieved January 11, 2018. 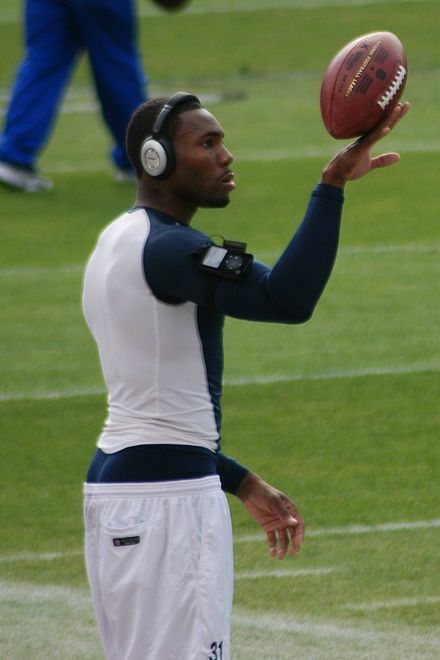 Wikimedia Commons has media related to Antonio Cromartie .